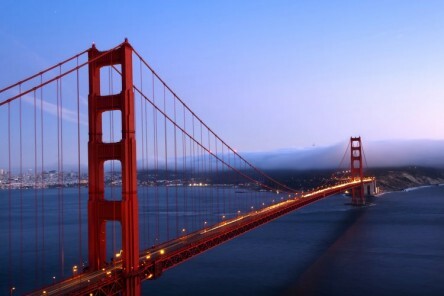 Walk along the railings of San Francisco’s world famous Golden Gate Bridge. Marvel at 17-Mile Drive’s The Lone Cypress. Experience California’s Central Coast splendour on Highway 1. Enjoy Danish-style hospitality in Solvang. Get closer to the stars at TCL Chinese Theatre, formerly Grauman’s Chinese Theatre, a Hollywood landmark. Enjoy 24 Hour entertainment in glittering Las Vegas. Enjoy the authentic atmosphere of Old Town San Diego, the birthplace of California. You are free to enjoy this fascinating city today. Walk through the narrow crab markets of Fisherman’s Wharf and enjoy sidewalk dining and many fine attractions. Charming neighbourhoods greet you at every turn with their elegant architecture. See Chinatown, the Japan Center, and the Embarcadero. Looming in the middle of the bay is the ominous island of Alcatraz, housing the infamous prison. A full day to explore the City by the Bay, beautiful San Francisco, or to enjoy the rolling hills of California’s Wine Country, Napa Valley, where famed wineries welcome you for tours and tastings. Established in 1828, this fertile area is considered the premier wine growing region in the United States. 17-Mile Drive toll road along the Peninsula Coast from Pacific Grove to Carmel boasts magnificent seaside scenery. Visit Carmel Mission, founded in 1770. One of the most scenic drives of your journey today takes you along the California coast through the Big Sur peninsula to San Simeon. Make time to visit Hearst Castle or to take a hike along one of the many well maintained trails near Pfeiffer State Beach. Drive down the coast passing San Luis Obispo to Solvang, a unique town founded by Danish immigrants. Solvang is a quaint village in the Santa Ynez valley surrounded by local wineries and famous for its bakeries and specialty shops. 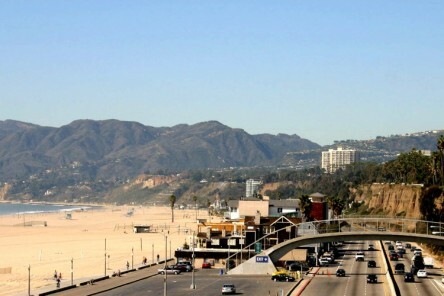 Drive by Malibu and Santa Monica to Los Angeles. If you plan to arrive in Los Angeles early, we suggest a visit to Universal Studios this afternoon before continuing to your hotel in Los Angeles. A full day at leisure. Today we suggest a full-day visit to Walt Disney’s Magic Kingdom of Disneyland. Known as one of the top tourist attractions in Southern California, Disneyland attracts millions of visitors from all over the world and offers pleasures for young and old alike. Or, simply discover Los Angeles, including Hollywood and Beverly Hills. 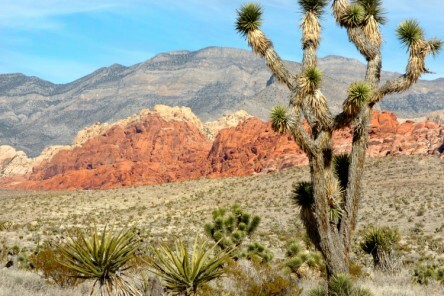 Today drive east through the Mojave Desert and the ghost town of Calico en route to the glittering Entertainment Capital of the World, Las Vegas. Once an oasis on the route to California, Las Vegas began as a Mormon settlement and boomed fleetingly during the silver rush. Today Las Vegas is one of the great gambling capitals of the world, with 24-hour entertainment and world-class dining. A full day at leisure for you to either take a short drive to Lake Mead and Hoover Dam, or see one of the great natural wonders of the world, the spectacular Grand Canyon, on an optional day trip by air. In form, glowing colour, and geological significance, the Grand Canyon of the Colorado River is unsurpassed. The canyon is 277 miles long, averages 10 miles in width from rim to rim and is 5,700 feet deep. Drive south past Lake Elsinore to the picturesque town of Temecula. Enjoy famed rolling hills and vineyards on your way to San Diego, popular for its year-round sparkling weather and relaxed living. A full day to discover some of San Diego’s attractions such as: Balboa Park, Old Town, SeaWorld, which is the largest park in the world devoted to marine life, Coronado Beach, the San Diego Zoo, and Seaport Village. Return your car at the San Diego airport before your departure flight, or drive north to Los Angeles to end your tour. Passengers on this Tour will receive a free welcome briefing on Day 2. A representative will give valuable advice about the itinerary as well as answer questions and provide maps, brochures and other documentation. Take a self-guided audio tour of one of America’s longest-serving aircraft carriers and learn about the history of the carrier as well as life aboard the carrier as you walk through the different levels of the carrier and see the exhibits as well as 27 restored aircraft carriers. For the brave, try one of the three flight simulators! Looking for the quintessential California beach town, look no further. This small town of 3,000 still has many of its original 19th century buildings. Enjoy the large white sandy beaches, long fishing pier, quaint shops and freshly baked cookies from the Brown Butter Cookie Co, or a cold beer at the local saloon. * Mon to Thr Departures only. For Fri to Sun add £40 supplement. Alternative departures available: 27 May 2014 to 22 Jun 2014, 17 Aug 2014 to 19 Oct 2014 add £159 supplement. Special Offer USA Mainland Fly-Drive Deal. Valid for departures 20 Oct 2014 to 12 Dec 2014. Alternatives departure dates available for a supplement. On sale until 05 Jun 2014. Economy Class Flights with United Airlines, inclusive of taxes. Alamo Rent-A-Car x12 Days; Compact Vehicle including unlimited mileage, CDW (Collision Damage Waiver), $1 Million Liability Cover, Sales Tax, State Tax, Airport Fees, CFC (Customer Facility Charge – if applicable), Mechanical Assistance. Find out more about Los Angeles, San Francisco with our Destinations guide.